Is the RBI indifferent to surging bank charges? 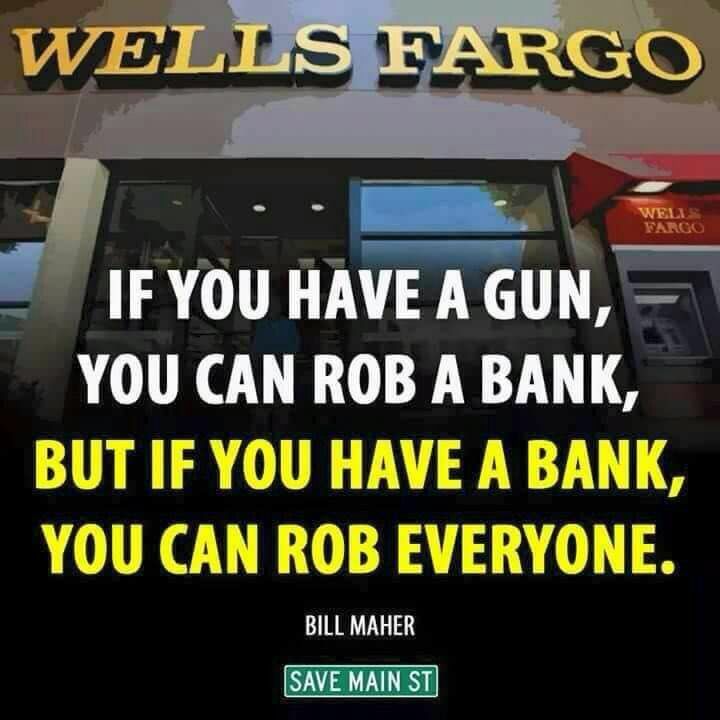 The story of banks robbing people is quite old. Banks have been known to raise deposits from trusting, unsuspecting people, then giving out loans to a close coterie of friends, and then going bankrupt. This has happened in India as well. The Justices Tendolkar/ Vivian Bose report on the Dalmia-Jain group of companies (http://reports.mca.gov.in/Reports/18-Tendolkar%20committee%20report%20of%20the%20commission%20of%20inquiry%20on%20the%20administration%20of%20Dalmia-%20Jain%20companies.pdf) actually documents how this was done. Then you have cooperative banks, promoted by people connected with powerful politicians. They too raise money from unsuspecting people, then give out loans to their friends and associates. Finally, they expect the government to bail them out! A good example was the way the Maharashtra State Cooperative Bank notched up losses of Rs.1,500 crore. Then the RBI stepped in, dismissed its directors. The government handed over the bank to a few capable administrators. Overnight, the bank bounced back to profit. That is also the reason why, Moneylife Foundation took the initiative to take this up as a public cause and send a petition to the RBI governor (https://www.change.org/p/governor-rbi-finance-ministry-stop-banks-fleecing-depositors?recruiter=9991754&utm_source=share_petition&utm_medium=facebook&utm_campaign=share_facebook_responsive&utm_term=des-lg-45039-no_msg) Disclosure: This author is one of the signatories to this petition. This column has already registered a strong protest against omissions and commissions of the RBI and the government on the epayments front (http://www.asiaconverge.com/2017/02/epayments-the-rbi-the-cabinet-secretary-and-the-govt/). 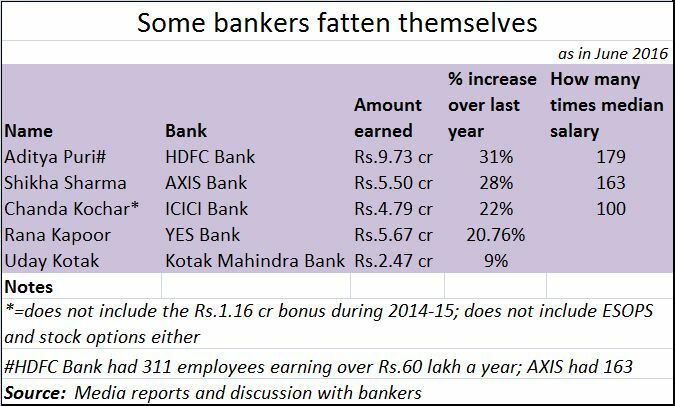 Then this is the issue of banks increasing the charges on deposits, withdrawal from ATMs (http://www.asiaconverge.com/2017/03/indian-banks-fatten-themselves/). The petition urges the RBI to allow seamless and hassle-free portability of accounts and loans from one bank to another. It believes that in an age of digitisation, this should not be very difficult. This has already been done for a telecom sector, and it is high time that this is done for the banking sector too. This way, a customer — dissatisfied with the rules, one-sided agreements, unfair charges or service standards of one bank — can immediately seek a transfer of all his accounts, and with all standing instructions to another bank. The fear of losing business will prevent banks from exploiting the helplessness of depositors who find it very cumbersome to move from one bank to another. As the petition points out, “Portability of loan exists on paper, but has to be made easier and seamless to execute without imposing fiscal and non-fiscal burdens on the consumer. The petition expresses distress at the way the Consumer Charter has been shelved. “The RBI issued the Charter of Customer Rights on 3 December 2014 recognising five basic rights of bank customers” and asks banks to adopt and implement them after their Board’s approval. These are: (i) Right to Fair Treatment; (ii) Right to Transparency; Fair and Honest Dealing; (iii) Right to Suitability; (iv) Right to Privacy; and (v) Right to Grievance Redress and Compensation. The Charter covers almost every problem that consumers are likely to face. However, “three years later, the RBI has not fixed time-frames for grievance redressal nor announced penalties for failure to treat consumers fairly, despite repeated appeals by consumer groups. Consequently, the Charter remains a toothless statement.” A master circular giving effect to this charter is sorely needed. 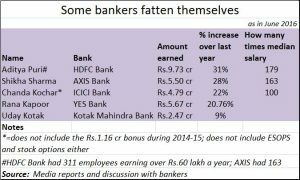 The manner in which some banks have increased their charges for customers, even while awarding themselves huge salary increases (not to mention ESOPS and stock options that would make the likes of Infosys and TCS blanch) is therefore a wake-up call. 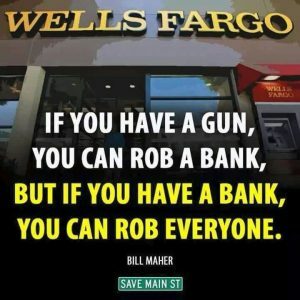 It highlights how banks can rob hapless customers. It is time the RBI and the government work together to ensure that this exploitation is stopped. Next articleJobs at risk: Is India prepared for huge unemployment or is it blissfully sleeping?